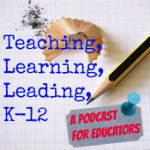 Today I'm talking with Dr. Lodge McCammon the author of Schooled: The Story of An Education. This is part 1 of 2. Dr. McCammon is amazing. He is a musician, teacher, thinker, learner, designer, creator, keynote speaker, workshop instructor, and now - an author.